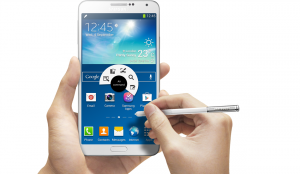 Galaxy Note 3 Lite at the MWC 2014? Galaxy Note 3 Lite at the MWC 2014? Galaxy Note 3 Lite at the MWC 2014? Since the Galaxy Note 3 was introduced at the end of the summer, many rumors have spread about a cheaper version of this massive smartphone. Even since before the launching, many rumors pointed to the presentation of both a premium and a lower cost variant of the smartphone. However, it didn’t happen, and only the high specs Note 3 appeared on the market. Nothing was announced back then, but now the device may be launched really soon. SamMobile pointed to next Mobile World Congress as the scenery for the presentation of the new device. The availability of the Galaxy Note 3 Lite will begin around February-March. The Note 3 Lite is supposed to be similar to the regular Note 3 but with lower specifications. In order to offer costumers the experience of the Note 3 at a lower cost, Samsung is going to downgrade the features in a few areas. According to SamMobile, the Galaxy Note 3 Lite (model number SM-N7505) will be available initially in black and white. No details on its hardware specs have been leaked so far, but it seems that Samsung is testing the device in two different sizes: 5.49 and 5.7 inches. However, older rumors have talked about a probable downgrading of the camera to an 8 MP one and a change in the display technology, which would change from Super AMOLED (present on the Galaxy Note 3) to LCD (on the future Note 3 Lite). The processor would also reduce its power from the actual Snapdragon 800 and RAM would probably drop to 1 or 2 GB. The cool faux-leather rear panel could be another sacrificed feature. These are good news, as the Galaxy Note 3 Lite is a device that many people would like to buy. Samsung doesn’t have any large-screen smartphone with mid-range specs yet, so it will fill the gap with an interesting device.